My brother and I send a weekly email in which we catch up, go over the week in sports, etc. I thought it would be a good post to put on the blog as far as diversfying the content, which as of late has just been NFL picks. My brother lives in Texas and doesn’t really get the full feel of the New England sports scene down there. He has been disappointed with my lack of content on the site lately. So here is to keeping the site alive and interesting. For faithful readers dating back to the Mongoose days, this will be reminiscent of my “Mumbles” column, but with an added twist courtesy of my brother. My brother’s opinions/statements are in regular font. My responses are in italics. Enjoy. As always, any feedback is greatly appreciated! 1. Gronk – Tough injury. Clean play. The DB said he was afraid to hit him high because of a fine. Well, I am not sure if that is the thing you are thinking of during the game with a split second to decide on how to hit an opposing player. Everyone hits Gronk low because hitting him high is a foolish attempt to bring him down. I hope he recovers well. 1) I honestly would not be surprised if Gronk never plays another down of football in his life. At what point does he say enough is enough? He was hurt in college often, too. I find it funny he basically Danny Amendola when it comes to injuries but does not receive the same criticism. They aren’t soft players, more fragile. They suffer significant injuries more than the normal athlete. 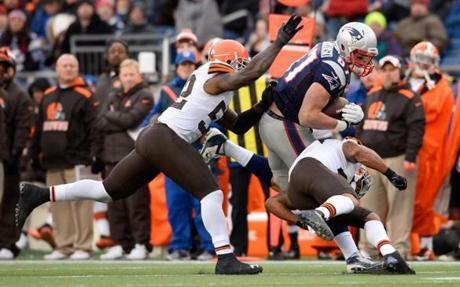 There are some reports saying Gronk suffered a concussion as well as the knee injury. 2. Knee injuries – ACL/MCL – I had the same injury (adding torn meniscus, I am willing to bet he has a meniscus tear and it will be corrected in the same surgical procedure), I was hit from the side vs. straight on. It occurred 6 months ago and I can run, jump, swim and bike. Here is my point: I am 43.5 years old, do not have access to world class medical and training staff. My job is not to be a professional athlete, it is not my only focus. Under those circumstances (age, time, resources, medical staff), I can honestly say, I would have been able to rebound in 5 months. For Gronk, in 5 months, that would be Apr/May, then he would have 60 more days for camp. He can fully recover. Psychologically, that is another matter. 2) TJ Ward is not at fault here. That was a clean hit in today’s NFL. I disagree with you in thinking he processed the thought to go for the knee in that split second. Safeties and linebackers have been trained to go for the knee for the past few years in order to avoid the 15 yard penalty and subsequent fine. Going for the knee is second nature, muscle memory, a learned behavior now. 3. Yankees – So if ARod is not suspended, Yankees cannot afford Ellsbury, McCann, Beltran (or to keep Cano). This further supports my conspiracy theory that the Yankees and MLB are in collusion to not be on the hook for the contract. That is not to say that ARod did not use PEDs, it is just stating that he is being treated differently than any other player who has been caught to date. Because of how his case has been treated, the largest and richest team can shop for free agents after missing the playoffs and the TV revenue that goes with it. Hmmmm, suspicious maybe? 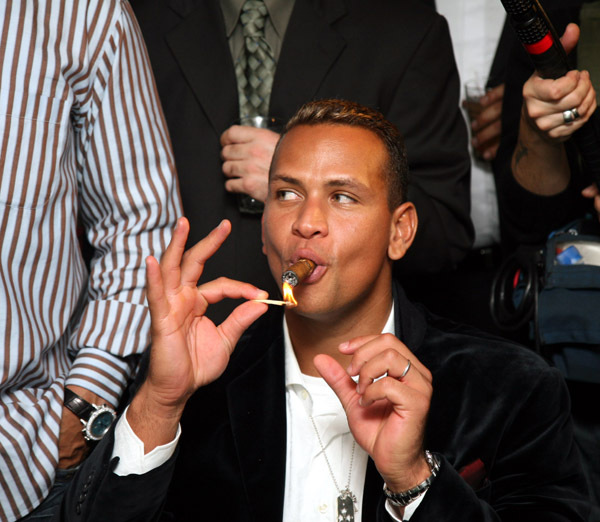 3) I would love to see A Rod win his lawsuit. More over, we, as fans, are appalled at some of these contracts. I would love to see the owners open up their books and see what type of coin they bring in. No business man would shell that kind of dough if he didn’t have 125% of said contract. The numbers boggle my mind. 4. Pats – Gronk loss is big, but the issue is really the injuries on defense and poor secondary. They have given up a lot of points. 4) Gronk loss effectively ends the Pats season. Thankfully all the guys on the offensive side of the ball have experience and can step up. Edelman has been huge in his contract year this season. Interesting to see what happens there. Patriots need to start getting ahead early and then run the bejesus out of the ball and eat up time of possession. Their best defense is keeping the other offense off the field. 5. Angels – Was thinking the other day, does the Pujols and Hamilton contracts prohibit the Angels from re-signing Trout? If Cano gets $240M, Trout is better. I am sure the arbitration rules kick in somewhere, but I am not that familiar with the rules. 5) Trout is under Angels control for 4 more years. He will get a 10 year 300 mil contract when he hits free agency. They Bryce Harper will get a tad less than that. Scary. Trout’s money is beyond manageable for the next 4 years. 6. Bruins/Thornton – Do not follow hockey as much, but saw the Thornton thing. 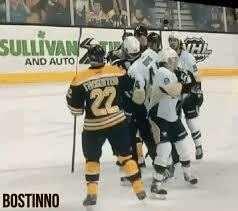 Bad for Bruins organization and bad for NHL, they need to make some serious changes regarding fighting and “enforcers”. It is becoming increasingly difficult to advocate unnecessary violence in pro sports. Need to look at ejections more oftenost he will get is $15 mil a year in arbitration. 6) I am in no way supporting Shawn Thornton. I do not condone what he did. However, the whole issue could have been avoided if Orpik fought Thornton earlier in the game when Thornton wanted to drop the gloves. Orpik has fought ONCE in the last 5 years and that was against Alexandre Burrows, a wuss in his own right. Orpik goes around with these cheap shots and then doesn’t own up to what he did. Pittsburgh seems to be the Candiens of the Continental United States in the NHL. James Neal knees Marchand in the head on purpose and then doesn’t own up to it. After the game Thornton took full responsibility for his actions. He was damn near in tears and apologetic. He will get a 10 game suspension for something that could have been avoided if Orpik sacked up earlier in the game. 7. MMA – Then of course, you see MMA and wonder what all the fuss is about, they have no protective gear and 4-6 oz gloves. 7) Still not really into MMA. 8) The final play of the Auburn-Bama game is up there with Doug Flutie and “the band is on the field” in terms of greatest finishes in college football history. Havent decided who I am rooting for in the national championship yet. Texas should coast over Oregon since the Ducks lost Marriota for the season. But they will probably get smashed. When reading anything I predict, remember I told you and the Green’s the Texans would be in the AFC Championship this season. Grain of salt saying applys here. 9. Roy Halladay – Announcing retirement, would have loved to have him in Boston during his prime when he was with Toronto. 9) Halladay was a beast for sure. Last pitcher that routinely threw a minimum of 7 innings every start. Often times he went complete.Don’t see starters get out of the sixth anymore. Surprised he hung em up. Thought he would try for a rebound year. Always strange seeing a guy you watched growing up retire. 10) You are forgetting Ghana in that group. Ghana has knocked the US out the last 2 World Cup’s. It surely is the group of death. To devil’s advocate, Portugal is overrated and never plays to their potential. If they can beat one of the team’s and play the other two to a draw, the permutations would show they advance right? Boom. Bet you didn’t see that analysis coming. 11. RGIII – The shine has kinda worn off, don’t you think? 11) Shanahan will get fired before I am done typing this email. I feel for RG3 outside of Alfred Morris, he has no supporting cast. Jordan Reed was good for 3 weeks and that was about it. Pierre Garcon is a #3 maybe a #2 receiver in the NFL. Can’t fault RG3, he can’t do it all himself. I watched a few of his last games, and he hasnt thrown the ball down the field like he did before the injury. I find that strange. Until he gets some help, the Redskins will be 4-12 no matter who coaches them. Peter Vescey follows me on Twitter @ScottieNTCF and you should, too.